The furore around Ross-Brand-gate is getting absurdly out-of-hand. A motion was laid down in Parliament to discuss the matter yesterday, Nottingham South MP Alan Simpson called for the two presenters to be sacked and now the Prime Minister has made a statement on it. Not since Gordon Brown said his favourite band was the Arctic Monkeys have politicians strayed so far from their justified sphere in an attempt to piggyback on a wave of publicity. Are we really so sick of discussing the credit crunch? Are politicians so desperate to distract from it that our leader, who a fortnight ago was saving the world, now wants to have his say on the Satanic Sluts? Let the BBC deal with it and get back to what you know. 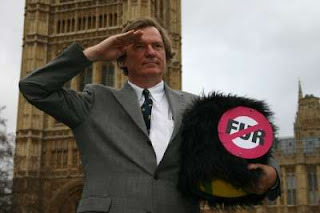 Graham Allen MP thought it would be helpful for Nottingham City Council Leader Jon Collins and his deputy, Graham Chapman, to talk in person to an inquiry investigating the Icelandic banks situation. I’m not sure the pair would thank Mr Allen, who is MP for Nottingham North. 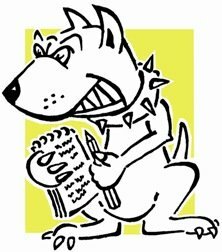 When Lobbydog contacted the council to see if the leader and his right-hand man would be up for it, there was a predictable lack of response. The council said it would submit written evidence to the inquiry on how it came to have £42m in the banks when they went under, but no mention was made of a visit to London in person. If the inquiry committee is interested enough they may ask the council to come to Westminster next year and give oral evidence. Until then I’d be interested to know whether you think the inquiry should be holding the council to account for its part in the predicament. Vote in the new Lobbydog poll. So 77% of our Notts readers reckon MPs shouldn't get the extra week away from Parliament for Christmas this year. Admittedly only nine people voted in the Lobbydog poll - but the result still gives a bigger majority than any Government has had in the last ten years, so I'm claiming a mandate to read into it. Most MPs would say they will use the extra time to deal with constituency matters. The question is - does this mean voters don't trust their MPs to spend their time away from Parliament working? And if that is the case what can MPs do to regain the trust? I'm actually really interested to hear from the two people that voted for the extra week. If you happen to read this then leave a comment.